Amazing. Great speaker. Great, informative topic. Very helpful. Is it possible to feed the brain? How do the sciences of nutrition and psychiatry, traditionally unconnected fields of research and practice, meet to create a healthier mind and body? Dr. Ramsey will take your team through the Brain Food Scale and the nutrient dense foods the brain needs to stay healthy and, even, grow stronger. From kale cocktails, to chocolate truffles and even pizza, Dr. Ramsey will explain how “Eating Complete” is crucial to avoiding depression and other common mental illnesses like anxiety. Book signing follows the talk and Q&A. 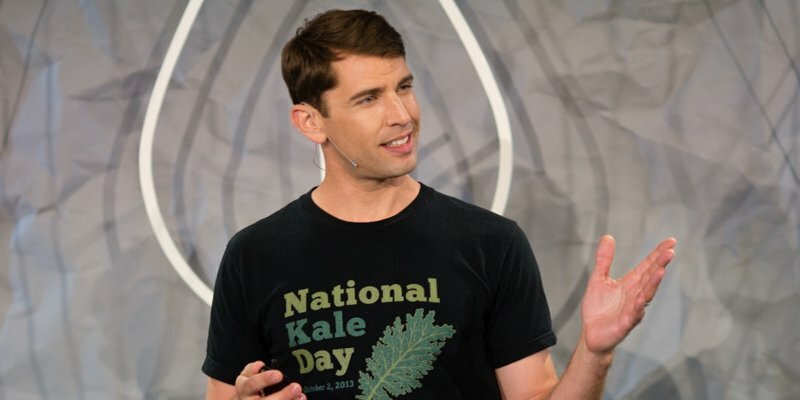 Dr. Drew Ramsey is one of psychiatry’s leading proponents of using dietary change to help balance moods, sharpen brain function, and improve mental health. He is the co-author of the recent culinary hit Fifty Shades of Kale (HarperWave) alongside veteran cookbook author Jennifer Iserloh, a cookbook that takes a fun, tongue-in-cheek approach to healthy eating. In his book and keynote presentations, he combines the latest brain science with practical advice to help people live their healthiest, happiest lives. With years of clinical experience, he focuses on ways to treat depression and anxiety with a combination of psychotherapy, lifestyle modification, and psychopharmacology. Ramsey is an excellent speaker for health and wellness organizations, schools and universities, health and nutrition conferences, and corporations. As a practicing psychiatrist for over a decade, Ramsey’s areas of clinical expertise include depression, anxiety, work stress, and relationship issues. He is a great speaker, particularly for students and employees in the workplace, as he often educates audiences on dealing with stress, fatigue, or depression and how to eat right for optimal performance. Dr. Drew Ramsey is also co-author of The Happiness Diet, which explores how modern food impairs brain function and provides a nutrition prescription for mood, energy, and focus. His research focuses on concepts of “brain food” and “mood food” and he aims to help educate the public on the long-lasting effects of the right foods on overall health. Regularly providing expert opinion on psychiatry-related topics to the media, Ramsey aims to bridge the gap between meaningful science and the public. His writing and commentary have appeared in the New York Times, The Huffington Post, The Wall Street Journal, The Atlantic, Men’s Journal, and Psychology Today. His work has been featured on The Doctors, CBS’s Sunday Morning, TEDx, and he regularly reports on dietary trends. Ramsey is an assistant clinical professor of Psychiatry at Columbia University and an attending psychiatrist at the New York State Psychiatric Institute. He supervises patient evaluation in the Columbia University Adult Psychiatry Residency Program, serves as a thesis mentor for graduate students at the Columbia University Institute of Human Nutrition, and from 2005 to 2008 Ramsey directed the Audubon Continuing Day Treatment Program. He is a fellow of the American Psychiatric Association. Ramsey is a diplomate of the American Board of Psychiatry and Neurology. He completed his specialty training in adult psychiatry at Columbia University and the New York State Psychiatric Institute, received an M.D. from Indiana University School of Medicine, and is a Phi Beta Kappa graduate of Earlham College. Great speaker. Full of info, stats, background. And charismatic. The event was great. Learned something I did not know before. Lots of information that is valuable and worth knowing. 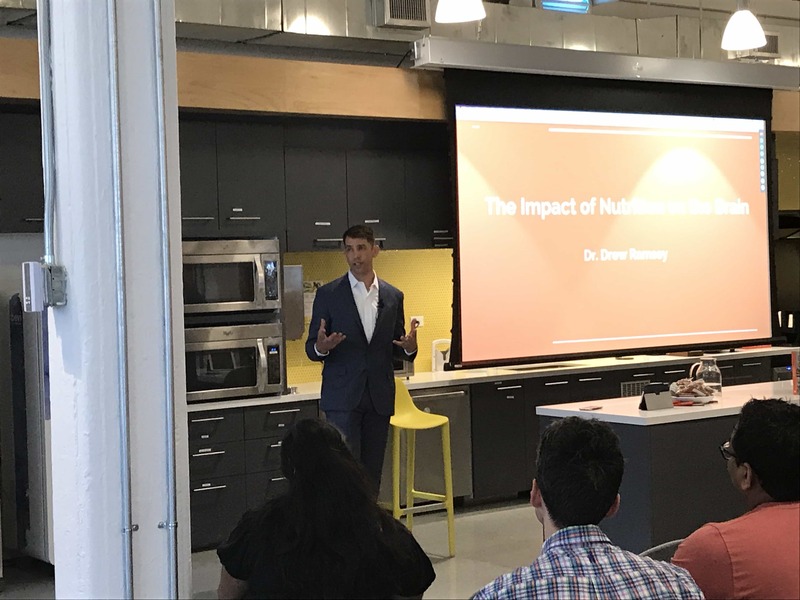 "Dr. Drew Ramsey delivered an awe-inspiring message with an uncanny ability to connect with attendees. It was clear he was thoughtful in his delivery and had clearly spent time crafting his presentation to specifically target our audience while remaining true to his key message of brain health. Brain health and body health are inextricably tied together and Dr. Ramsey drove that message home with passion and positive energy. I would strongly recommend that everyone, in any industry, consider Dr. Ramsey's amazing message." "Having Dr. Ramsey speak at a banking event at first seemed like an odd choice, but given that we were focused on improving how we lead in all areas of our life his "brain food" topic made perfect sense and the attendees found his presentation "very interesting", "engaging" and a "nice break" from the traditional leadership topics. Also appreciated how he tied the banking industry into his remarks plus he remained at the event to answer questions for quite some time." "Drew was incredible!!!! The audience was eating out of his hand the entire time! The content, the format, the lunch, the demos and the presentation style were just perfect….could not have been better! I don't think we have ever had so much positive feedback for our Institute." "Dr. Ramsey was incredible. He spoke between courses at our fundraising dinner and spoke directly about the food we were eating and its impact on our mental health. Attendees found Dr. Ramsey to be funny, thought provoking and interesting. One attendee stated, 'This is the best dinner Joe and I have ever attended. 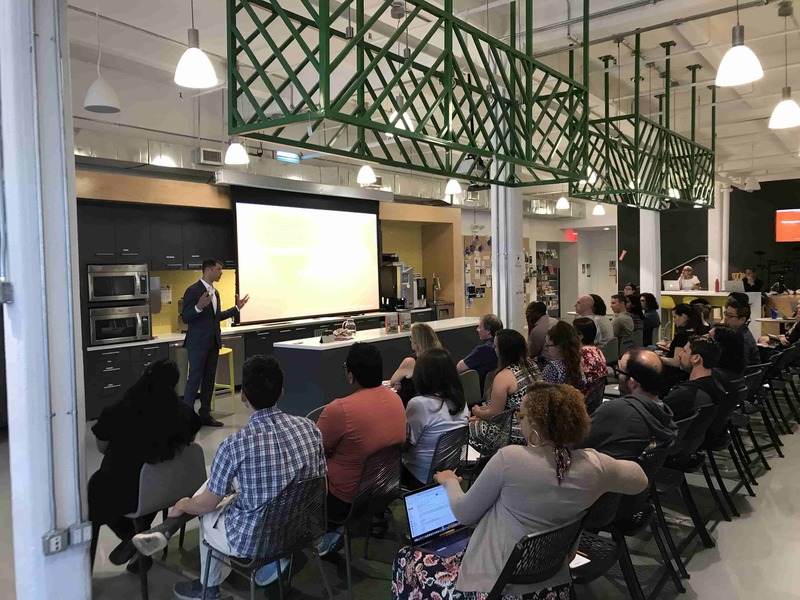 We found that the format and the presentation kept everyone's attention and led to a wonderful discussion at our table.'"